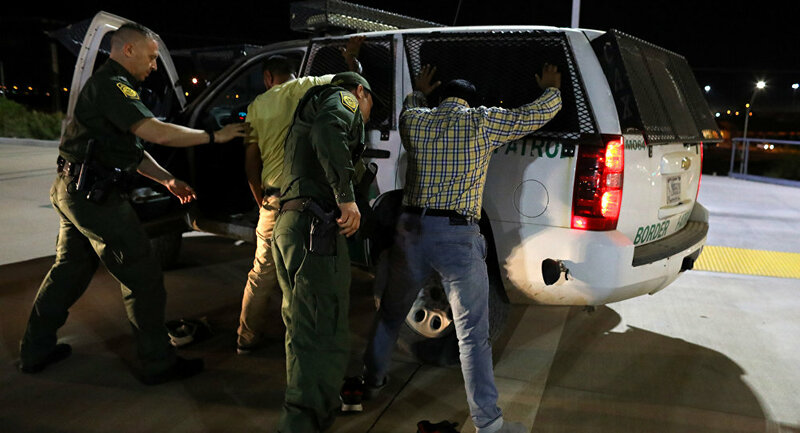 Comprehensive statistics from the Department of Homeland Security reveal that the number of people arrested by US Border Patrol agents has dropped 25% over the last year, to levels not seen in 45 years. In the same period, arrests of foreigners living in the US illegally have skyrocketed by over 40%. The new figures, published Tuesday, offer the most comprehensive snapshot to date of the changes made to immigration enforcement under President Donald Trump, who has taken a hardline stance on the issue of illegal immigration into the United States. The statistics show that US Border Patrol made a total of 310,531 arrests in the period between September 2016 and September 2017, dropping from 415,816, or about 25%, from a year earlier. The figures showed that 98% of the arrests took place on the US-Mexico border, with about 58% of those arrested coming from countries other than Mexico, mostly in Latin America. — Charles V Payne (@cvpayne) 5 декабря 2017 г. During the same period, Immigration and Customs Enforcement (ICE), the agency tasked with deporting illegals who are caught away from the border area, has seen a substantial uptick in activity, making 143,470 arrests, up 25% since 2016, or over 40% since Trump took office in January. However, the number of persons actually deported dropped 6% from the previous year, to 226,119, owing in large part to the drop in the number of those arrested at the border. ICE statistics also showed that the number of criminal aliens deported between 2016 and 2017 has risen 12.5% over the previous year, to 67,859 persons. Department of Homeland Security press secretary Tyler Houlton told the Washington Examiner that the figures show "what enforcing the law as Congress adopted looks like." Houlton emphasized that lawmakers must "legislatively address existing legal limitations and loopholes" which prevent Border Patrol and ICE from doing their job. Observers aren't sure exactly what to make of the new figures. The president's supporters say it is proof of the success of his tough rhetoric, while detractors argue that it is a sign that Trump's rhetoric hasn't translated to an actual growth in arrests and deportations by US law enforcement.